Sometimes actors forget that everything they say, can and IS held against them. 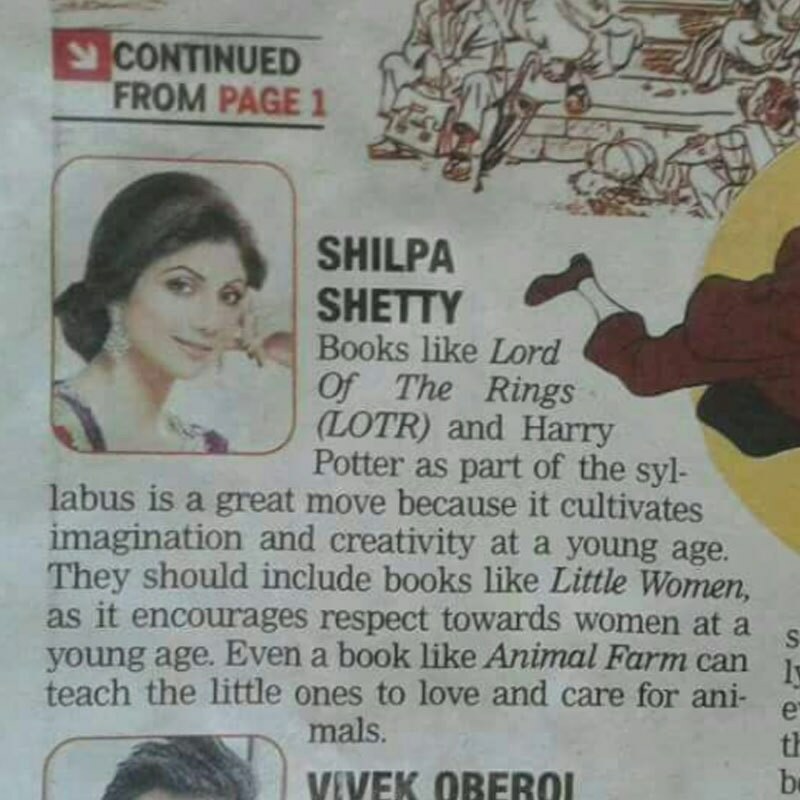 Unfortunately for Shilpa Shetty, her error in mistaking Orwell’s publication as a children’s book landed her as the latest victim of online trolls. I want to read the version of Animal Farm that she did. A for Apple, B for ball… V for Vendetta! We can imagine children chanting “Remember, remember the 5th of November” in a threatening tone to their teachers. Did Katrina Kaif put a hold on her career to become Mrs Ranbir Kapoor?